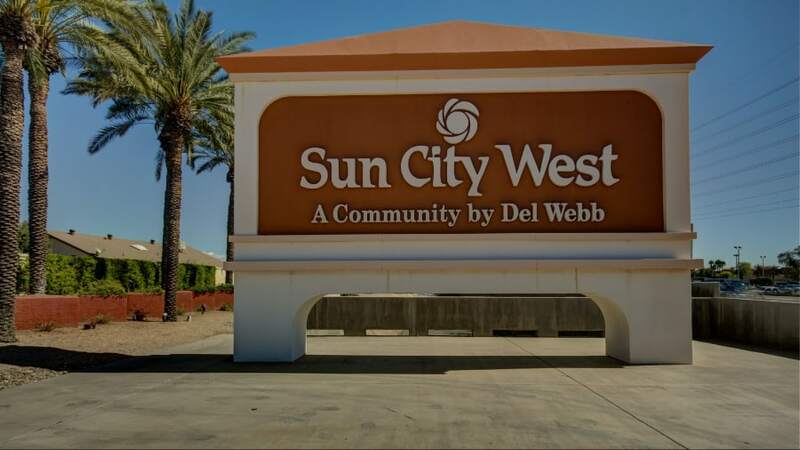 What are the Amenities in Sun City West? 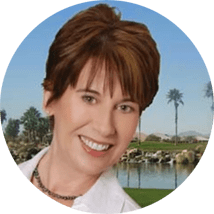 I get that question all the time as a real estate agent who specializes in Del Webb’s #2 retirement community in Phoenix Arizona. It is was built right after Sun City and Sun City West amenities are second in size to only Sun City. The tradeoff is Sun City West is newer and is more like a community versus a town. So, in order to answer the question, what are the amenities in Sun City West, I’ve put together an overview for you. There are a total of 4 recreation centers in Sun City West where Sun City has 7 but read on. The community is all about the resort lifestyle 7 days a week. Every day is considered Saturday or Sunday as most don’t work. If they do, it’s usually volunteering or working at their hobby or passion like dancing. Sun City West offers more than $125 million worth of amenities this includes 4 recreation centers, 9 golf courses, 9 restaurants, a 30-lane bowling alley, a recently renovated 40,000-volume library just for residences, a retail arts and crafts store, more than 100 chartered clubs and much more. There are 4 state-of-the-art recreation centers to meet all your physical, social and creative needs. The recreation centers are kept up beautifully. When a home is purchased all buyers must pay an asset preservation fee. This is a one-time buyer fee to help keep the community updated. New workout equipment, locker room remodels, building facelifts and new amenities are constantly being implemented. This helps to attract new buyers to the community. Sun City West’s Recreation Card Fees are very affordable as only Sun City is lower. 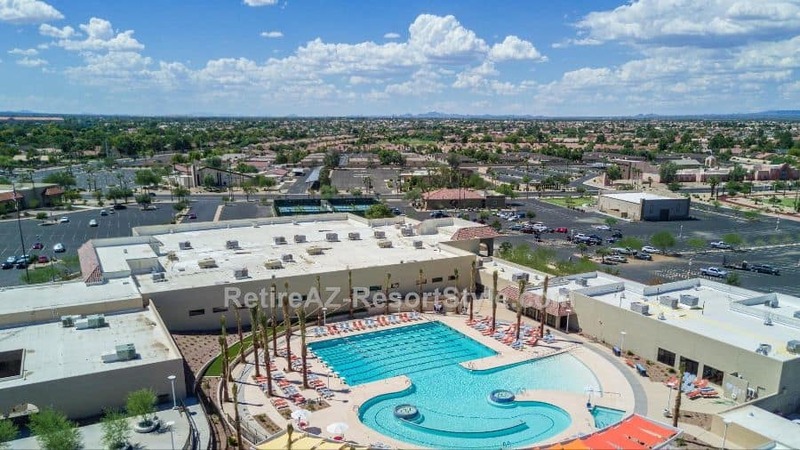 Between all 4 recreation centers, there are 6 swimming pools, 27 tennis courts, 15 pickleball, racquet courts, 14 bocce courts, 30 bowling lanes, miniature golf, outdoor & indoor walking tracks, 32 lawn bowling rinks and 1 softball court. There are 2 dog parks, one for the small dogs and one for the large. Everyone ends up with their favorite place to go and things to do depending on their interests. My parents live in the community and have since 2007. My mom’s favorite pool is Palm Ridge which is closest to her house. convenience is king, but she also loves R H Johnson pool. My dad plays pickleball and during the summer they both take advantage of the indoor walking track. When the grandkids visit miniature golf, bocce ball and of course the pools are big hits. 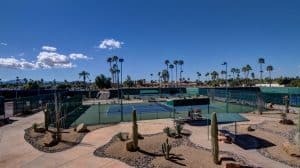 Amenities in Sun City West include 4 resort style recreation centers that are open every day of the year. The R H Johnson Center spreads over 48 acres and consists of 6 activity areas with 118,000-sq. ft. under roof. 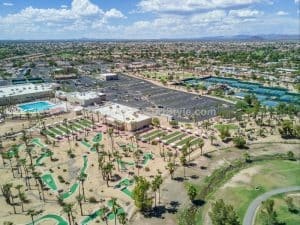 It is the largest activity center in Arizona. It was also the first recreation center built in Sun City West. In 2017, Johnson’s outdoor resort style pool went through over a $4+ million dollar renovation. The Palm Ridge Center offers three pools – two indoor and one outdoor– large fitness center, tennis courts, indoor walking track, ballroom and club rooms. Beardsley Park Center features an Olympic-size indoor pool, fitness center, club rooms, mini-golf course, horseshoes, greenhouse and a park with shady ramadas. The Kuentz Center includes an exercise room, outdoor pool, tennis courts, walking track, softball field, club rooms, woodworking shop and the Stardust Theater. Sun City West amenities include over 100 clubs. 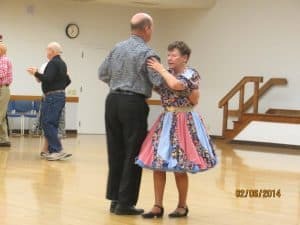 Mom and Dad square dancing. One of the many clubs and activities you can join. There are over 100 chartered clubs and many non-chartered clubs in Sun City West. There are 25,000 members and multi-million dollar facilities for your full enjoyment. For a full list of clubs visit S.C.W Clubs. For example, my parents who live in the community joined the bridge club, square dancing and my dad loves the woodshop. The equipment in the clubs is often much better than what you would buy yourself. This goes for the railroad, jewelry, beer and wine making and woodworking clubs. Sun City Golf. 9 golf courses to choose from. There are a total of 9 golf courses in Sun City West, so you can play a different course every day of the week and then some. Having so many golf courses give many residences a chance to live on the golf course. The community used to be known for having swans on most of the golf course’s small lakes. Just a few left now. So to sum it all up, Sun City West Amenities are awesome. For around $1000 a year, you get all the community amenities for 2 people. You get wonderful 4 recreation centers, 6 pools, 9 golf courses, 100 plus clubs and lots of activities. 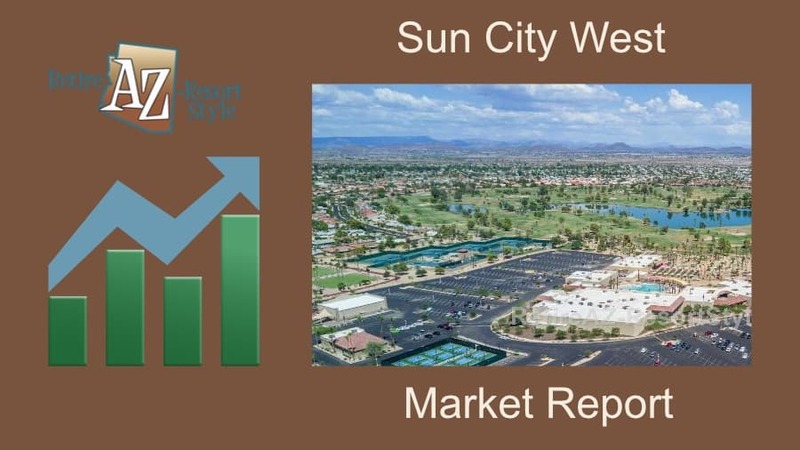 Many buyers choose Sun City West for its affordability and wonderful amenities.